Blue Sky Pools is a small business with a big heart. Owner, Esra Esrason of Kailua, Hawaii, began working towards his dream of building beautiful pools in 2003. It started as a one-man, pool maintenance company and has grown into an operation that has built, remodeled and maintained some of Hawaii's most beautiful pools. Despite the success and growth of Blue Sky Pools, Esra is committed to personalized and exceptional service. 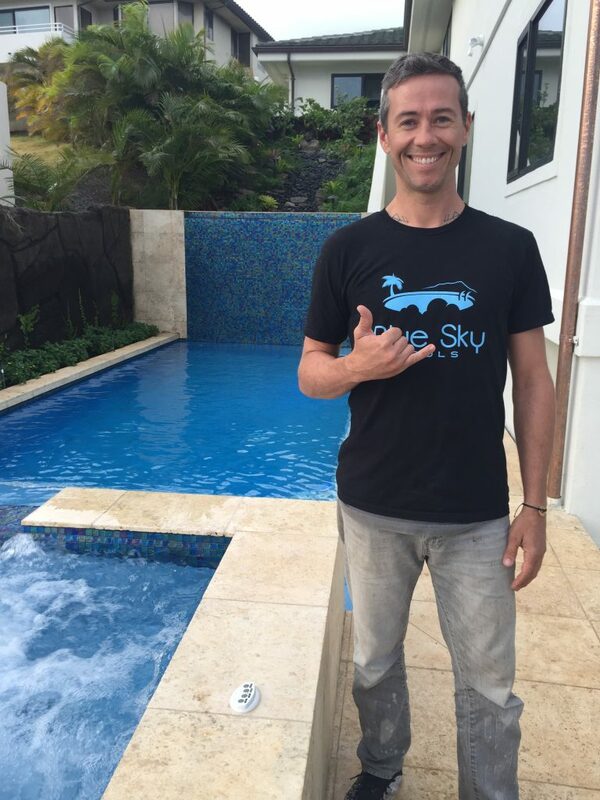 He's most passionate about designing and building infinity edge pools, lava rock waterfalls and bringing old pools to life with remodels, but he's still the one who shows up on site when a client needs help with a small repair.